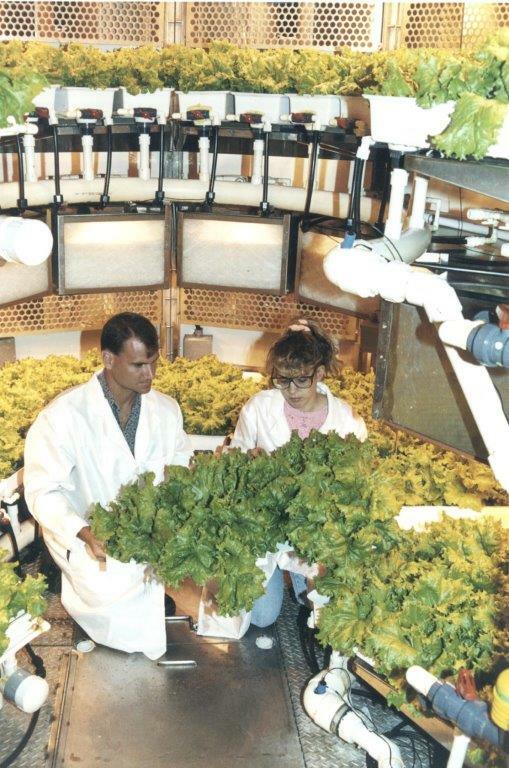 For more than 30 years, NASA’s Dr. Raymond Wheeler has studied growing plants for space. Earlier this year, Wheeler published a paper titled Agriculture for Space: People and Places Paving the Way. It is a historical narrative outlining agricultural research conducted for space spanning the past 70 years. Wheeler’s space farming research highlights novel technologies and findings that have been produced over the years, including the first use of LEDs to grow plants, as well as hydroponics and vertical gardening techniques. In Wheeler’s work, one also sees that space agriculture has contributed to, and benefited from terrestrial, controlled environment agriculture and will continue to do so into the future. To read more about Wheeler’s and other space farmers’ work, go to https://go.nasa.gov/2nPAlM9.